Pigmentation, discoloration of the skin, brown spots, liver spots of the skin can appear on your face, neck, chest, hands, arms, upper lip and body. They are caused mainly by a combination of slowing of the cell renewal rate as you age, sun damage, birth control pills or other medications. Our treatment and products are very effective for making brown spots less noticeable. We have the most effective treatment for hyperpigmentation and those dark spots. 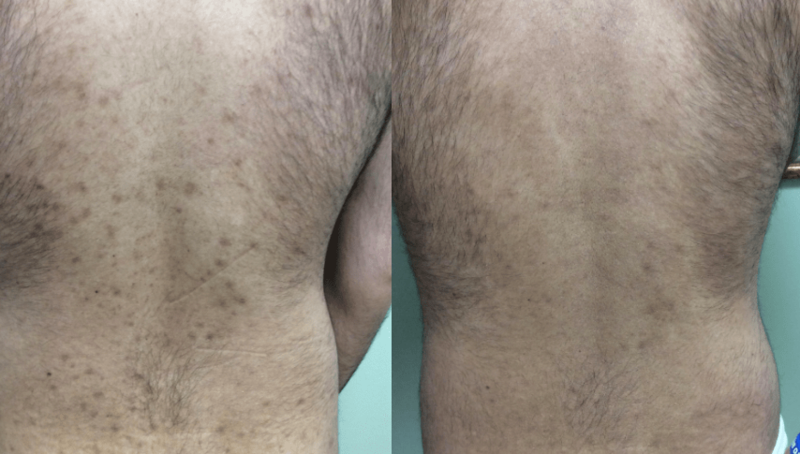 Results are shown even after the every first treatment!